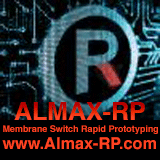 ALMAX-RP, your only source for Rapid Prototyping of Membrane Switches, continues its commitment to support Membane Switch Manufacturers. 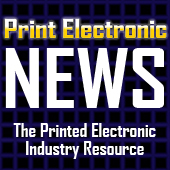 Announcing new and improved Digital Conductive Ink Circuit Printing. The second generation silver printing process developed by ALMAX-RP features a more accurate print head and supports large format printing. 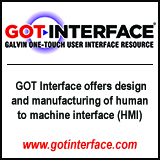 The new system can accomodate substrates up to 21″ x 20″ sheet size. Order prototypes from Almax RP and respond quicker to new designs without tying-up your engineers. 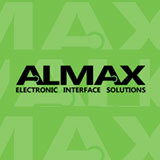 Almax RP offers a full-service shop to Membrane Switch Manufacturers including full product engineering and design. Almax RP makes prototyping easy, allowing manufacturers to concentrate on production, without tying up production equipment for prototyping. We can work from simple hand-sketches to complete CAD files and deliver high quality membrane switch prototypes, on time and under budget. Rapid Prototyping Membrane Switch Company, Almax RP, announces successful through-hole as an option with their quick-turn silver ink circuit manufacturing process. The picture shown here has three through-hole points shown where the silver is transferred from one side of the polyester film to the other. The biggest advantage, but not the only one, is it allows the metal dome shown on the left to be very close to where the flex tail exits. Normally the tail exit would have to be farther away in order for all of the silver ink tracks to be neck down and enter the tail. Another advantage of through-hole technology is to avoid using dielectric for insulating silver traces that cross each other. Conventional method for this is a printed dielectric between traces. 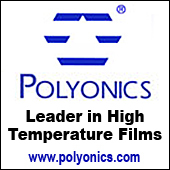 However, the insulation properties are not as reliable as the .005″ thick polyester. Also dielectric cross overs are subject to thin spots, pin-holes and other printing irregularities. Tucson Arizona, Almax RP: What portion of a membrane switch do you need quickly, or maybe the entire switch? Almax RP’s can provide the Graphic Layer, Membrane Layer, Circuit Layer, Adhesive Layers, or completely assembled Membrane Switch without SCREEN PRINTING or DIECUTTING. Almax RP can support Membrane Switch Companies by providing the a rapid prototyping service for portions of, or entire fabrication of, a membrane switch including full CAD design if needed. Providing prototypes quickly is essential to production orders. 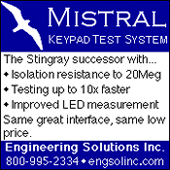 However, membrane switch companies having to interrupt production screen printing and die cutting presses can slow delivery schedules for existing production work, irritate manufacturing personnel with requests for quick turn jobs that usually require overtime, and just overall frustration for everyone. Why not turn that headache over to company that can go from a CAD or Graphic file to finished product digitally. It is simple to get a quote. Copy a portion or all of the information below and paste it into an email to Almax RP, answer the questions, and RP will provide you will a quotation. For price comparison take a prototype circuit you may have already screen printed, collect all costs your company incurred, and compare to prices by Almax RP. You will be glad you did. Size of polyester sheet in inches? Silver ink coverage on each sheet in square inches? Dielectric ink coverage on each in square inches? Carbon ink coverage on each sheet in square inches? Do you want parts laser cut after applying ink? Do you want texture or gloss hardcoat (can only have one)? How many images per sheet? Do you want the sheets embossed? Do you want the parts laser cut to size? For more information on this please contact Almax RP by sending an email to sales@almax-rp.com. 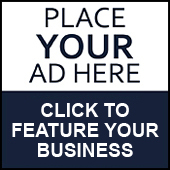 Or give us a call at 520-647-0190.